Firing a fresh salvo at the Gorkha Janmukti Morcha, the hill Trinamool Congress today accused the GJM leadership of being weak, corrupt and lacking in vision, the fallout of which was the reluctance of the state government to trust it and hand over absolute power to the Gorkhaland Territorial Administration. The latest charge comes after Bimal Gurung on Monday shot-off a letter to chief minister Mamata Banerjee blaming the state government of non-cooperation in enabling the smooth running of the GTA. Ever since the souring of relations with the chief minister, the GJM has been alleging of state government non-cooperation and unnecessary interference in the independent functioning of the council body. The GTA was formed with the state and central governments and the GJM signing an agreement in September, 2011 to bring to end four years of agitation for a separate state. But the hill TMC leader chose to differ saying it was an attempt by the GJM to hide four years of its failure in managing the council’s affairs properly. “Why is the GJM suddenly leveling such charges against the state government? What were they doing for four long years at the helm? Blaming the state government now is nothing but the GJM’s effort to cover up its faults as they have not worked for the people,” charged Subba. She was also of the opinion that not keeping a healthy relation with the state government would have a counter effect on the hills and its people. “The GJM has failed to keep good relations with the chief minister and the state government. She is after all the chief minister and the hills are a part of Bengal. 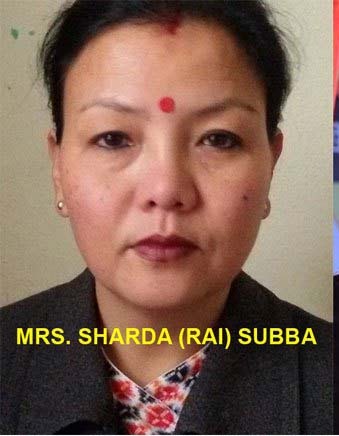 Therefore, it makes sense that the two remain be on the same wavelength to usher development in the hills,” Subba said. Speaking to reporters today, hill TMC Mahila Congress president Sardha Subba said, “The GTA was formed four years ago but the GJM has nothing to show in terms of the development and progress of the region. The GJM leadership is weak and lacks vision.